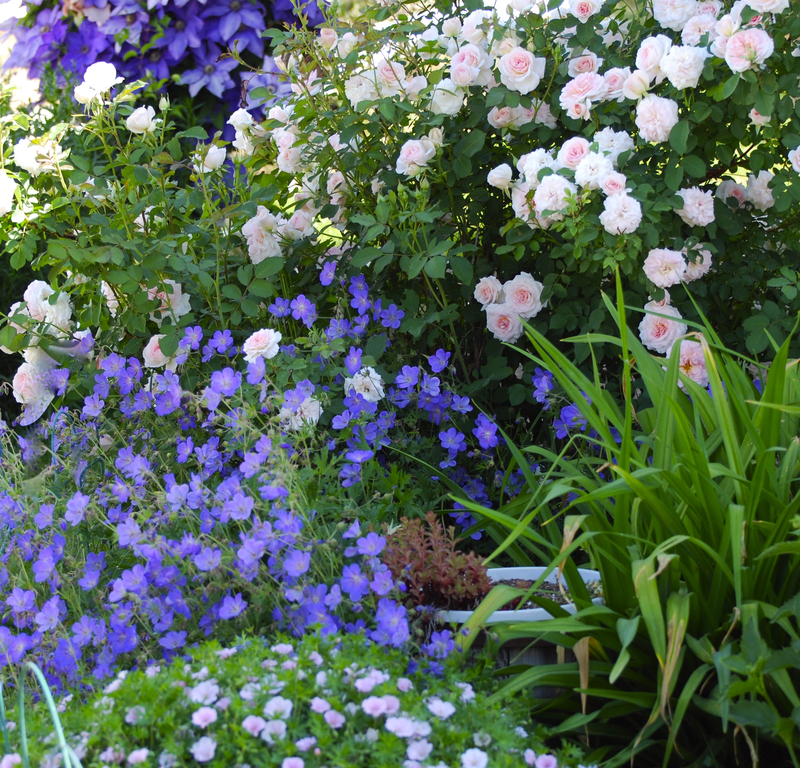 This page is an addendum to an article I wrote for my local community magazine (The Eagle Informer) about rediscovering roses for the garden. 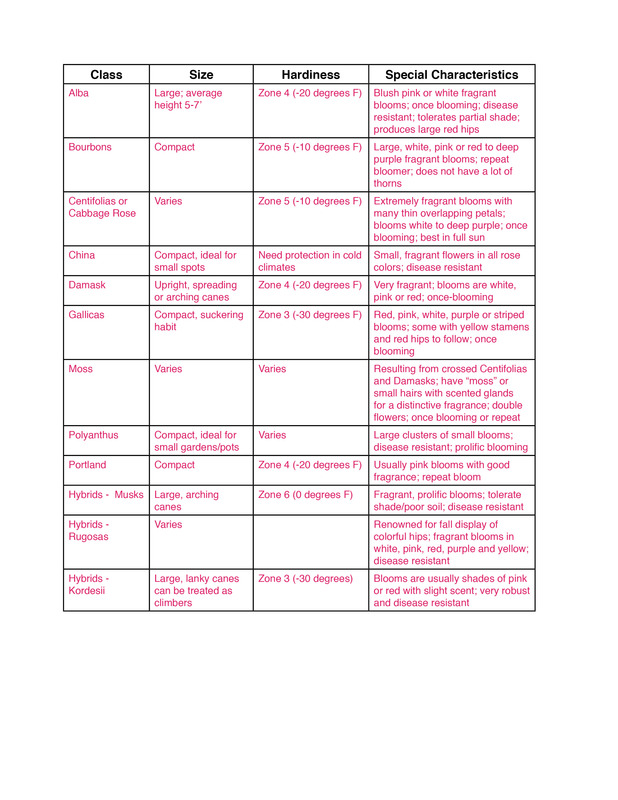 This is a quick reference guide showing the classes of Old Garden Roses and some of their fabulous features and cultural requirements. Click the table to enlarge it for easier viewing.